With Operation Gibraltar having miscarried, Pakistan undertook the bold Chhamb Offensive on September 01, 1965, by using a division-sized force of tanks and infantry, with the objective of capturing the strategic Akhnoor, thereby hoping to cut off the vital road link between Jammu and Poonch. Soon, it became clear that Pakistan’s objective in this sector was also to envelope Jammu through a subsidiary thrust from Sialkot. Another blitz was to be launched from the direction of Pasrur for the capture of Pathankot, the then railhead to Jammu and Kashmir. 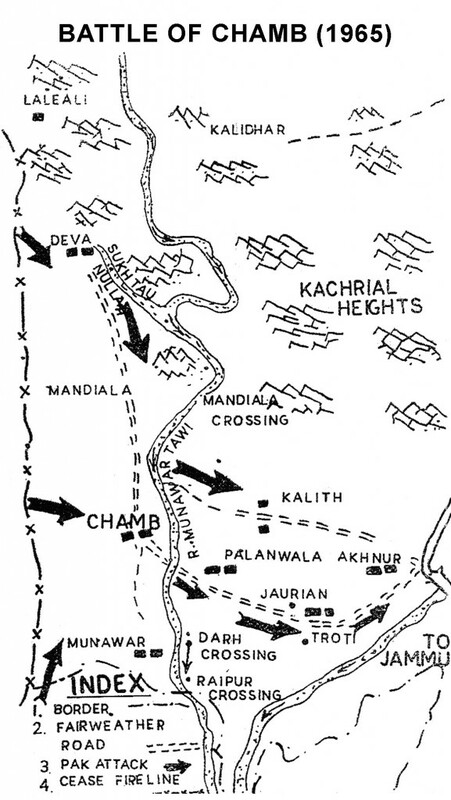 The Indian forces were fewer than brigade strength in the Chhamb Sector. Pakistan’s Chhamb Offensive, across the international boundary, had added a new dimension to the Indo-Pak conflict. India now faced the dilemma whether to seek negotiations or to retaliate by a major counter-offensive at the place (s) of its choosing. With surprise on its side, Pakistan’s Chhamb offensive did make initial gains, but the stubborn resistance put up by the Indian ground forces, supported by the air strikes, brought a temporary halt to the Pak offensive. By September 04, 1965, the assailants had crossed the shallow Munawar Tawi, and were inching towards Akhnoor, despite heavy casualties of tanks and assault troops. It was the decisive moment for India to undertake an immediate and telling counter measure. The security imperatives for India are multiple and dynamic with a volatile neighbourhood including an aggressive China and an irrational Pakistan that refuses to stop following a state policy of terrorism. The last decade has been characterised with utter neglect of the defence sector and we need to take focused corrective actions. For this, a major reason has been the politico-military disconnect. Only time will tell if the Defence Minister can take the bull by the horns. Much has been written about the politico-military disconnect in India. British India had no such qualms. To start with, in the British Indian Army, British officers were disconnected with the native rank and file even at the lowest echelons. And so, the rank of Junior Commissioned Officers (Indians) was introduced to bridge that disconnect. The question of politico-military disconnect did not arise. But then came the steadily increasing influx of King’s Commissioned Indian Officers. The British, who never trusted the Indians, therefore, termed the Services Headquarters as “Attached Offices” in the ‘Rules of Business’ of the Government. 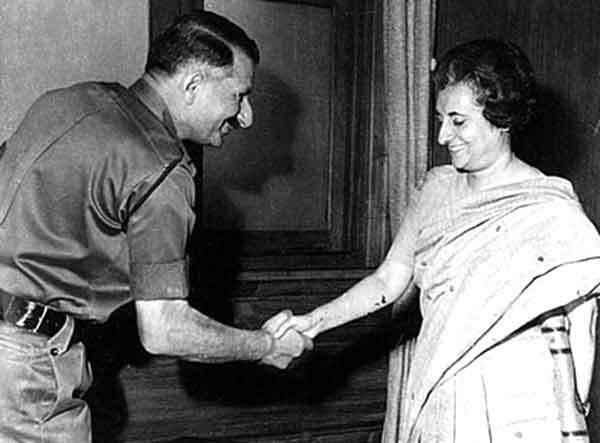 This was a masterstroke of the Indian Civil Service (ICS) that preceded the Indian Administrative (IAS) as they could keep the military on a tight leash while reaping all the benefits – power, pelf et al. It helped the British deprive India of its wealth and bring the industrial complex to nix while keeping the military aloof and do their bidding. There is no love lost between al-Qaeda and the Islamic State. Al-Qaeda appears to be rolling out a very deliberate PR strategy against its erstwhile affiliate. Can the organization re-brand itself as the jihadi group the world can live with? Since the Islamic State made its dramatic military advance from Syria into Iraq more than a year ago — capturing Mosul and other key cities, and declaring the caliphate’s re-establishment — analysts have reached a near-consensus that the group’s emergence has devastated its parent organization, al-Qaeda. Indeed, the Islamic State has undermined al-Qaeda’s once unrivaled position as the standard-bearer of the jihadist movement, outstripping al-Qaeda’s public messaging with its robust propaganda apparatus. The Islamic State has persuaded several groups that were previously in al-Qaeda’s orbit — includingAnsar Bayt al-Maqdis and Boko Haram — to break away and re-style themselves as provinces of the caliphate. Many analysts believe the Islamic State has become the preeminent global jihadist organization. WASHINGTON — Five Chinese warships have moved into the Bering Sea near Alaska after participating in a naval exercise with Russia, but officials said they don’t view the ships as a threat as President Barack Obama travels in northern Alaska near the Arctic Circle. The U.S. military has been aware of ships and has been tracking their movements for days as they moved through international waters. Earnest said the intent of the ships presence “is still unclear.” He was speaking aboard Air Force One as Obama flew near the Bering Sea. Obama was in Alaska to speak about climate change. Navy Cdr. Bill Urban, a Pentagon spokesman, said this is the first time that the U.S. has seen ships from the People’s Liberation Army Navy in the Bering Sea. It seems tomorrow will be a big day for China-military watchers around the world: the mighty DF-21D, or “carrier-killer” anti-ship ballistic missile (ASBM) will likely be one of the features of Beijing’s end of World War II celebrations. But how much should America or anyone else in Asia fear this supposed killer of carriers? The “carrier-killer” has been a favorite topic of mine for some time now. The weapons are launched from a mobile truck-mounted launcher into the atmosphere, with most likely over-the-horizon radar, satellite tracking and possibly unmanned aerial vehicles each providing guidance to a target in the open oceans. It also incorporates a maneuverable warhead, or MaRV, to help find its target. When looking at this weapon, there are really two basic questions I have been asking for years: How capable is it? And if capable, can U.S. Navy vessels defend against it? There were other hardware firsts, with DF-16 medium-range ballistic missile (MRBM) and YJ-12 anti-ship cruise missile (ASCM) also revealed for the first time (the latter an air-launched missile on a display truck for parading purposes). The DF-5B ICBM officially confirmed as a “MIRV-ed nuclear missile” (分导核导弹), with multiple independently targetable reentry vehiclesthat can greatly complicate its intercept by ballistic missile defenses. What makes these displays particularly significant: all the missiles on parade are currently in PLA service. That explains why China’s DF-41 ICBM and YJ-18 ASCM were nowhere to be found—they are not yet deployed. 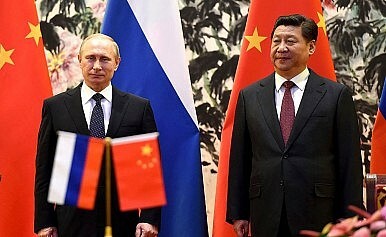 Otherwise, by raising concerns without demonstrating credible capabilities, China would risk reaping “the onus without the bonus.” A tremendous non-hardware-related announcement provided greater context: Xi Jinping’s statement in his speech at the parade, “I announce that China will reduce military personnel numbers by 300,000.” But what is arguably most significant in hardware terms is that Beijing used this high-profile occasion to reveal not one but two different ASBMs—both already deployed by China’s Second Artillery Force (SAF). Saudi Arabia's New Best Friend: China? All eyes will be on Washington on Thursday as Saudi Arabia’s King Salman makes his first official visit to the United States—or anywhere else for that matter—since ascending the throne in January after the passing of his half-brother, King Abdullah. Some preliminary reports out of the Middle East are suggesting that the King might be accompanied by a large delegation comprised not only of senior officials, but also some well-known businessmen and prominent Saudi women. While the visit could mark a new era of improved relations between the two traditionally close allies, there is little doubt that the tumult that has gripped the Middle East since 2011 has put a strain on Saudi-U.S. relations. Many observers have argued that the U.S. administration’s willingness to part ways with President Hosni Mubarak in Egypt, its sudden reversal on striking Bashar al-Assad’s forces in Syria after they had crossed President Obama’s self-imposed “red line” by using chemical weapons outside of Damascus in 2013 and the July signing of an agreement with Iran over its nuclear activities have led to a “rift” between Saudi Arabia and the United States. While talk of an even more serious “rupture” in relations should not be taken very seriously—Saudi Arabia and the United States have not sustained a mutually beneficial relationship for seven decades by happenstance—some Saudis have long advocated that Saudi Arabia needs to wean itself off from what they consider to be its overdependence on the United States as a strategic ally and trading partner. That’s where China comes in. 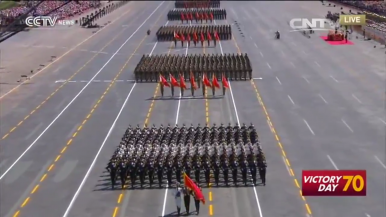 On September 3, 2015, the Chinese Communist Party conducted its first military parade in the past 66 years on the occasion of commemorating victory against the Japanese invaders. Previously, military parades have been conducted on the occasion of the anniversaries (particularly the tenth anniversaries) of the founding of the People’s Republic of China. Three things are noteworthy about the parade. First, there seems to be a contradiction between the verbal language of Xi’s speech and the “body language” of the parade. Instead of sending a stern warning to China’s neighbors about her determination to defend her “core interests,” Xi told the audience that China would follow the path of “peaceful development” and would reduce its troops by 300,000. Throughout the parade, however, the choir kept singing war-time songs about fighting the enemies. The weapons on display from the People’s Liberation Army were said to be 84 percent new since 2009. 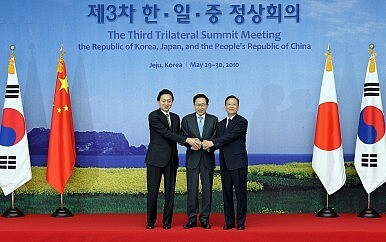 Chinese Prime Minister Wen Jiabao (R) at the 2010 trilateral summit in South Korea. The announcement corresponds with previous reports that the three countries would hold a trilateral summit before the end of 2015. It will be the first such meeting since May 2012. Before that three-year gap, summits were held annually from 2008-2012. While the announcement came after a bilateral meeting Park and Xi, Japan’s Chief Cabinet Secretary Yoshihide Suga suggested that Abe would be receptive. Japan “will continue communications with China and South Korea and work out a specific timing and venue,” Suga said, according to Kyodo News. He added that the leaders would likely discuss environmental issues and disaster risk reduction, as well as regional issues like North Korea’s nuclear program. Cyberwarfare is emerging as a key element of the Chinese military's modernization efforts and a major concern for the nation's most senior leaders, a new report from Center for Strategic and International Studies said. In early 2014, when Chinese President Xi Jingping took charge of the Central Internet Security and Informatization Leading Group, the state-run news agency said the president viewed Internet security as "a major strategic issue concerning a country's security and development as well as people's life and work," according to the Washington, D.C.-based think tank's report (pdf), which was published Sept. 1. The news agency said the president also added that "efforts should be made to build our country into a cyber power," the CSIS report said. The president later that year issued official guidelines directing the People's Liberation Army to develop cyber defensive capabilities. The window opened by the nuclear deal for a better relationship between Tehran and Washington is only a tiny one, and it may not outlast the presidencies of Obama and Rouhani. Now that a nuclear deal has been negotiated and is likely to be implemented, what’s next for Iranian President Hassan Rouhani’s foreign policy? His “World Against Violence and Extremism” (WAVE) initiative may give us some clues. On one level, this initiative seeks to recast Iran as a victim of and global partner against terrorism. On another level, it holds open the possibility of U.S.–Iran cooperation on specific regional issues like the fight against the Islamic State and ending the Syrian civil war. The nuclear deal paves the way for such cooperation, enabling what might be a budding détente between Washington and Tehran to begin moving toward rapprochement. Now, there may be a window of opportunity to pursue this goal. But American concern over Iranian nuclear weapons proliferation has historically been only one source of U.S.–Iran tensions. As President Barack Obama recently reiterated, the United States has broad and deep objections to Iranian regional policies from the Hindu Kush to the Mediterranean. Today, this tension manifests in different visions of the Middle East’s future and, combined with domestic political realities in Iran and the region, may complicate the road to rapprochement. Saudi King Salman visits Washington this week amid disagreement between the United States and Saudi Arabia on a broad range of issues. Moreover, the disagreements are rooted in fundamental characteristics of the anachronistic Saudi regime. Many regimes around the world, and the political and social systems of which they are a part, are markedly different from what is found in the United States, but the Saudi polity is one of the most different. The anachronism that is Saudi Arabia represents a major problem for U.S. foreign policy, both because of the impact Saudi-related matters have on the Middle East and beyond and because of the close association between Saudi Arabia and the United States that has come to be taken for granted. Little of this has anything to do with the just-completed agreement to restrict Iran's nuclear program, despite the attention that subject has been receiving. Riyadh is more likely to accept the agreement as a done deal—and already has publicly indicated its formal acceptance—than the accord's opponents in the United States and Israel. The Saudis will continue to look for ways to discourage others, including the United States, from developing warm relations with their rival across the Persian Gulf, but this will not preclude the Saudis themselves, along with the other Gulf Arabs, from undertaking their own rapprochement with Tehran, just as they have done in the past. The refugee crisis currently playing out across the borders of Europe has hardly escaped anyone's attention. But imagine if the 2,000-plus bodies that suffocated in lorries and washed up on the shores of the Mediterranean were not from the Middle East or Africa. The UK's foreign secretary, Philip Hammond, recently talked about "marauding migrants" coming to Europe and threatening our quality of life. In a similar vein, Jürgen Habermas - one of the most prominent and respected commentators on the question of Europe - has suggested, in his book Europe: The Faltering Project, that"the painful transition to post-colonial immigrant societies" within Europe is occurring alongside "the humiliating conditions of growing social inequality" associated with the pressures of globalised labour markets. The U.S. and Ukraine formally kicked off almost two weeks of naval exercises on Monday in and around the Black Sea as part of the latest iteration of Sea Breeze. The Russian military has pledged to keep close tabs on the 11 nation drills and has dispatched the Krivak-class guided missile frigate Ladny to shadow U.S. guided missile destroyer USS Donald Cook (DDG-75) since the destroyer crossed into the Black Sea last week, according to a report from the Russian news agency Interfax. The exercise comes as tensions between Russia and the West are still high since Russia’s 2014 seizure of Crimea and as the civil war in Ukraine continues in near the Russian border. Members of the Russian State Duma have called the actions provocative moves by the U.S. and NATO to aid in Ukraine in the conflict. “These multinational exercises should be viewed as direct participation by the U.S. and NATO in ramping up the strategic and combat preparedness of the Ukrainian armed forces,” Franz Klintsevich, a member of the State Duma’s Defense Committee, told state controlled RIA Novosti on Monday. The Borei-class (aka Dolgorukiy-class), Project 955, fourth generation nuclear-powered ballistic submarine (SSBN), Alexander Nevsky, will join Russia’s Pacific fleet in early September based on information obtained from the Russian Joint Staff, according to TASS . The Alexander Nevsky is the second Borei-class vessel built and was commissioned in December 2013. Once arriving in Russia’s Far East, it will join the permanent readiness forces of the Russian Pacific fleet and will be part of the 25th division of submarines based in Vilyuchinsk. New Russian submarine facilities for the boats of the Borei-class are currently under construction on the Kamchatka Peninsula at the Rybachiy Nuclear Submarine Base in Vilyuchinsk, located nine miles (15 kilometers) across Avacha Bay from the region’s capital Petropavlovsk-Kamchatsky, and should be completed by the end of September. 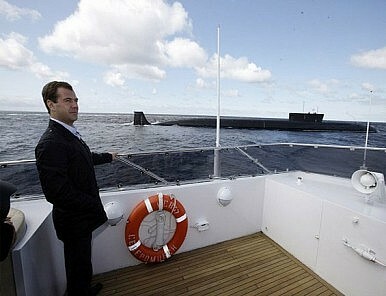 Rybachiy is home to most of Russia’s Pacific nuclear submarine fleet and will be the homeport of the Alexander Nevsky. Australia confirmed its 24-year economic winning streak in its latest gross domestic product (GDP) data released Wednesday. 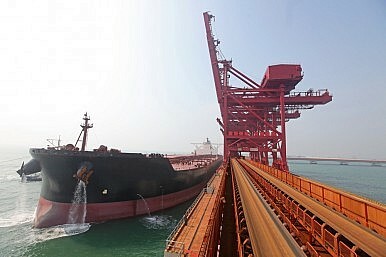 However, extending the recession-free record beyond a world-beating 26 years could prove more troublesome for the “Lucky Country” in the wake of China’s downturn and domestic squabbles over trade and reform. Real GDP expanded by 0.2 percent in the June quarter, below market expectations of a 0.4 percent gain and well down on the March quarter’s 0.9 percent rise. While household consumption, government spending, and non-residential building activity grew, exports slumped 3.3 percent compared to the previous quarter, while dwelling investment dipped by 1.1 percent. Financial markets reacted negatively, with the Australian dollar dropping below US$0.70 for the first time in more than six years, amid forecasts it could drop even further due to weak commodity prices. Migrants board a train to Munich at Vienna's Westbahnhof railway station in the early hours of Sept. 1. 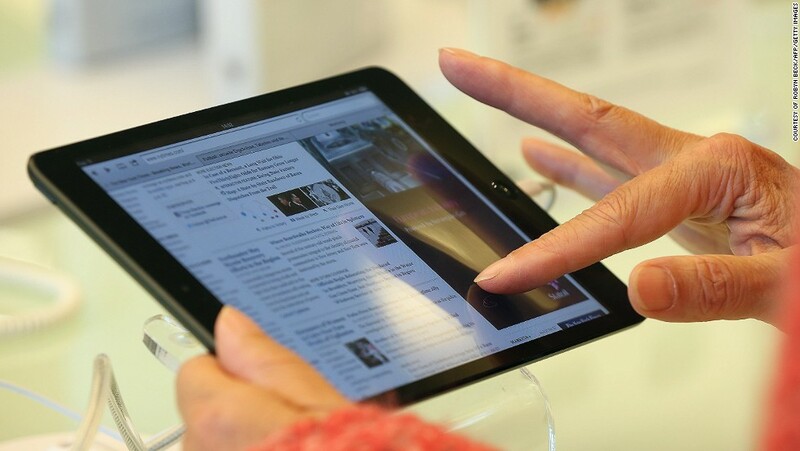 Search giant says that regulators in the US, Germany, Brazil and elsewhere have already dismissed similar charges. It's lonely at the top. Search giant Google is a truly massive company. It employs more than 53,000 people, has a market capitalisation of more than $420 billion and could easily swallow up a couple of small countries, going by GDP alone. It's also utterly dominant: More than two-thirds of all searches on the internet worldwide go through Google, with the tech firm actually having more than 90% market share in many countries. That means it's very successful. But it also means its influence is massive. Google to a large extent controls what we think of the world, even as it insists that it "won't be evil" while doing so. Google is so big that most people think of it as the internet itself. And it's so influential that some believe it is helping decide the results of elections. Though he had just four months left in office, Guatemala’s president, Otto Pérez Molina will not be around to hand over power next January. Pérez Molina resigned early Thursday morning, after prosecutors issued an arrest warrant for him, and judicial officials instructed him not to leave the country. Pérez Molina will now face corruption charges related to a customs-fraud scheme that has entangled over a dozen top ministers and Vice President Roxana Baldetti, who resigned in May and is now facing trial as well. Posters extolling the ruling right-wing Patriotic Party (which Pérez Molina, a former army general, founded in 2001) are being torn down across the country’s capital. While Pérez Molina awaits the verdict of the judicial system, joyful Guatemalans are preparing to deliver an electoral verdict when they choose a new president in Sunday’s general election. The Guatemalan Congress’ Tuesdaydecision to strip Pérez Molina of immunity and the embattled president’s subsequent resignation is a historic inflection point. It’s a clear success for the tens of thousands of protesters who marched the streets of Guatemala City and Tegucigalpa alike this summer, loudly condemning the graft of Guatemalan and Honduran political elites, and the ability of civil society to demand Pérez Molina’s accountability is an important moment in the development of Central America’s democratic and participatory institutions. Leaders like Honduras’ conservative president Juan Orlando Hernández and El Salvador’s leftist president Salvador Sánchez Cerén could meet additional blowback in countries with equally systemic corruption andeven more violent streets. Świnoujście, Poland, on the frigid Baltic Sea where that country meets Germany seems to have little in common with the swampy heel of Louisiana where that state meets Texas. However, the sites are connected—and connected with many others around the world—in their importance to the next revolution in energy. Over the last decade, the biggest change in energy was how and where hydrocarbons were removed from the earth. The United States led this change. Take hydraulic fracturing, or “fracking,” which allows natural gas to be collected from shale rock formations. As the use of this method has taken off, shale gas has gone from 4 percent of the total natural gas produced in the United States in 2005 to a projected 40 percent this year, according to the U.S. Energy Information Agency (EIA). Or take oil—in the last decade U.S crude oil production has increased from five million barrels a day to its current pace of more than nine million barrels a day. However, a different kind of energy revolution will take place between now and 2025. While the last decade was about the energy buried in the earth and how to get it out, the next decade will be about how the energy already removed from the earth is moved across it. After more than a month of garbage piling in the streets of Beirut, the city finally broke. Organized by the #YouStink campaign and other groups on social media, tens of thousands of protesters marched demanding a solution to the crisis. Last Saturday, on August 22, the protestors were met by tear gas, water cannons, rubber bullets and live fire from riot police and security forces. 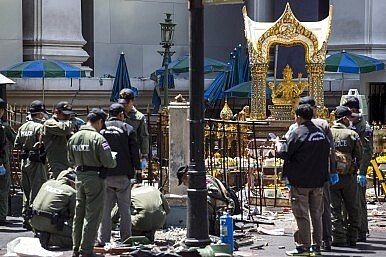 On Sunday, though the police showed more restraint, the protesters’ demands escalated. They amassed in Riad al-Solh square chanting, “The people want the fall of the regime”—referring to the parliament that had again unconstitutionally extended its term last November. This past weekend saw even larger protests, and the #YouStink organizers said they would give the government until this past Tuesday to meet their demands: The resignation of Environment Minister Mohammad Machnouk, the Minister of Interior holding police accountable for violence, new parliamentary elections and a solution to the garbage crisis. So far, the government has met half of one demand. Machnouk announced that he would not step down, but would insteadwithdraw from the committee tasked with finding a solution to the crisis. This hardly pacified the crowds, and #YouStink staged a sit-in in the offices of the environment ministry that resulted in arrests and injury to demonstrators. The 6th Regional Economic Cooperation Conference on Afghanistan (RECCA VI) began Thursday in Kabul. The two-day conference is part of a series launched in 2005 in Kabul, with subsequent conferences in New Delhi (2006), Islamabad (2009), Istanbul (2010), and Dushanbe (2012). This is the first that President Ashraf Ghani will preside over. 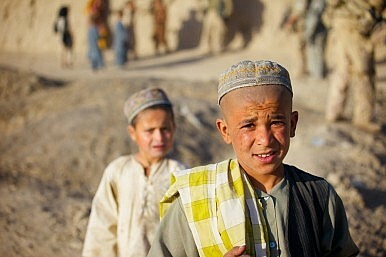 The conference–which has been subtitled “The Silk Road Through Afghanistan”–predictably will cover issues of trade and transport, energy, resource extraction, investment, training, and disaster preparedness. 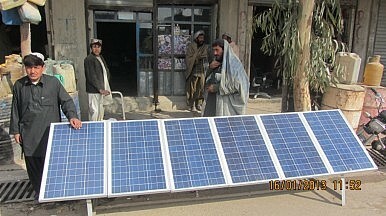 The AP reported that “delegates were to discuss policy priorities, inter-regional trade, harmonization of customs and border routines, and market expansion” Ghani, who has been in office for just under a year, promised during the December 2014 London Conference on Afghanistan to make the country self-reliant–boosting the economy and tackling corruption. Trachoma, a leading cause of preventable blindness globally, disappeared from developed countries last century, with one exception: Australia. Plenty of developing nations have eliminated this infectious eye disease. Just last month Cambodia announcedthat trachoma was no longer a public health problem. Countries like Myanmar, Morocco and Mexico have banished trachoma, while affluent Australia lags behind, together with nations such as Ethiopia and Afghanistan. Removed from mainstream Australian society a century ago, the eye disease persists at endemic levels in remote Indigenous communities. Trachoma can be traced back to biblical times. The bacteria Chlamydia trachomatis creates an eye infection that is spread through contaminated secretions from the eyes and nose via contact with others, tainted clothing and bedding, and by flies carrying the bacteria. Infected children pass it along while playing and coming into contact with parents. Reoccurring infection results in scarring of the eyelids, which eventually causes the lashes to turn-in and scratch the cornea. Chronic abrasion of the cornea, painfully, leads to blindness in later life. After more than half a century of isolation, Cuba raised its flag and opened its six-story embassy in Washington D.C. The restored diplomatic relationsbetween the United States and Cuba follows an announcement made by U.S. President Barack Obama back in December 2014. 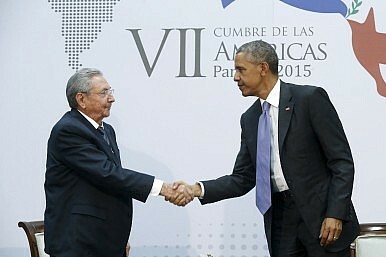 In his speech, Obama admitted that “these 50 years have shown that isolation has not worked.” In light of his admission of the ineffectiveness of U.S. policy, Obama has initiated a shift aimed at moving away from a sanctions-based attempt to isolate Cuba and toward a policy that fosters engagement through normalized relations. This revamp of policy has entailed not only the reestablishment of diplomatic relations, but also the removal of Cuba from the State Department’s list of state sponsors of terrorism and the authorization of increased travel, commerce, and flow of information to and from Cuba. Parag Khanna is a senior research fellow at the Centre on Asia and Globalisation at the Lee Kuan Yew School of Public Policy in Singapore. His books include The Second World (2008) and How to Run the World (2011). The views expressed in this commentary are solely those of the author. (CNN)With Russian tanks and rebels firmly lodged in eastern Ukraine, Eastern Europe has been on high alert for months. As Russian bombers intermittently skirt or trespass Western airspace -- and a foreign submarine was reported to be hiding out in waters just off Stockholm last year -- the Baltic states of Estonia, Latvia and Lithuania have ramped up expenditures on armored personnel carriers, mobile missile launchers and other hardware to defend their borders. TYSON’S CORNER: “Unity of command” is a classic principle of war. As the US military struggles to improve cybersecurity against relentless Russian, Chinese, and other attacks, however, it’s finding the complex interconnectedness of computer networks complicate the chain of command. If the tech guys urgently need to shut a system down — say, because it’s infected with a virus and they want to stop it spreading — but the combat commanders need it to run their operations, who prevails? “Frankly, it’s a question I have myself,” said Maj. Gen. Sarah Zabel, the new vice director of the Defense Information Systems Agency, when I raised the issue at an AFCEA conferencethis morning. My hypothetical scenario wasn’t actually complex enough, she went on, because in some critical cases, ripple effects mean there are at least three parties involved.